We’ve all heard horror stories of bad plastic surgery. Simple human error, bad luck, unrealistic expectations, or an unskilled plastic surgeon can mean poor results from botched plastic surgery procedures. If it happens to you, what can you do? There are several cases in which bad plastic surgery requires immediate medical attention. These include infection, chest pain, excessive bleeding, or signs of a blood clot. However, in more cases, the surgery simply does not have the desired outcome. Beauty is in the eye of the beholder, and the results of plastic surgery are subjective. If you are unhappy with your post-surgery appearance, first make sure that the results are really as bad as you think they are. You may have had unrealistic expectations for the procedure, or have low self-esteem that is causing you to see problems where there aren’t any. Plastic surgery has managed to give countless people an extension of their youth, at least in the physical sense. However, failed plastic surgeries are tragically common as well, since so many people get plastic surgeries today and the sample size is large enough to accommodate a wide range of successes and failures. Stories about failed plastic surgeries have become so common in the media that some people are specifically known by the fact that they had failed plastic surgery. 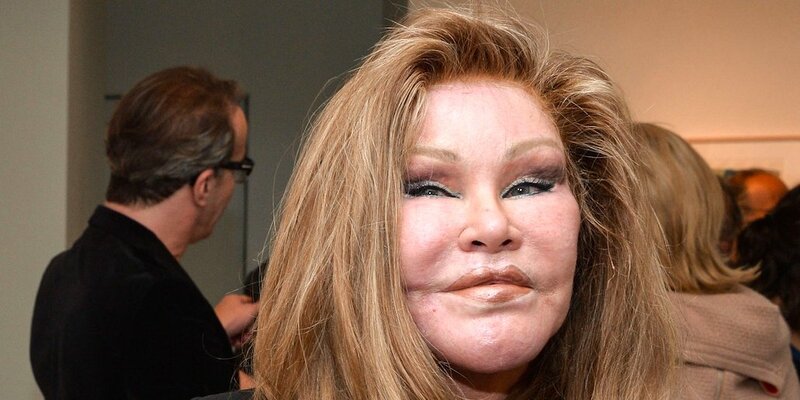 The socialite Jocelyn Wildenstein would be an obscure figure if it wasn’t for the fact that she managed to nearly deform her face as a result of cosmetic surgery. Jackie Stallone would be known only as the mother of Sylvester Stallone, but her extreme plastic surgery has made this ninety-four-year-old woman the ultimate cautionary tale. Some celebrities who get plastic surgery do so in order to change their facial features. However, a lot of them do so because they’re trying to turn back the clock and avoid looking older. Jackie Stallone certainly does not look ninety-four, but she also barely looks human. Some people might believe that looking like another creature entirely is better than looking like an older person. However, some might opine that what these people really need is more emotional support in their lives. The before and after plastic surgery gone wrong pictures can be absolutely devastating to see, particularly in the case of attractive celebrities who should have left well enough alone. Some celebrities become completely unrecognizable afterward, destroying their careers in the process and ruining their image in more ways than one. Oddly enough, Jennifer Grey‘s plastic surgery was a success and a failure at the same time. She had rhinoplasty in order to change the shape of her nose and needed two surgeries in order to get it right. She avoided some of the truly terrible consequences of failed rhinoplasty, such as nasal relapses. Her new nose looked natural and normal. However, her new nose also made her completely unrecognizable as the famous Jennifer Grey and caused her to become a non-celebrity again. Her career never managed to recover. Renee Zellweger is a more recent and unfortunate example. She had a multitude of cosmetic surgeries in order to make herself look younger, such as lifts for her eyelids, Botox injections on different portions of wrinkled skin, and even surgery on her lips. 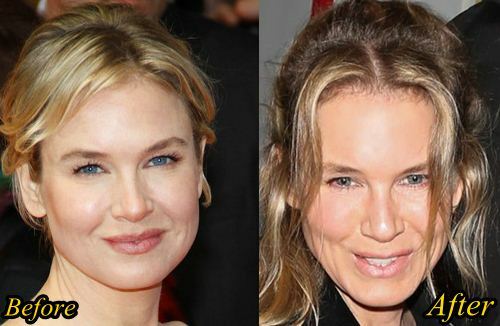 The resultant surgeries caused her to look both unrecognizable as Renee Zellweger and completely unnatural. She failed to make herself look younger. Instead, she looked like one of the many poster children for failed plastic surgeries that have emerged in recent years. 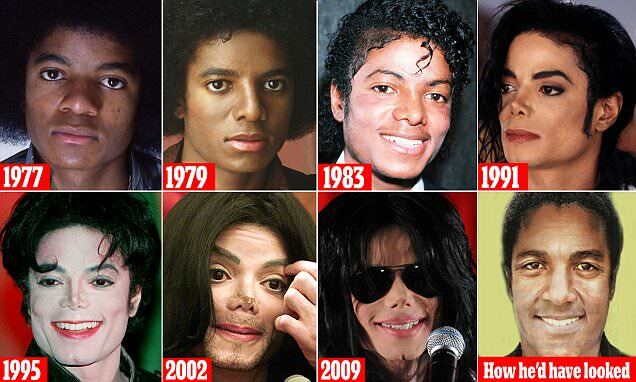 Michael Jackson is probably the ultimate poster child for failed plastic surgeries. He had countless rhinoplastic surgeries in addition to taking medications to change his complexion. He also got eyebrow lifts and various surgeries to remove real or perceived wrinkles, leaving him with an infamously artificial and ghoulish appearance. Today, Michael Jackson is remembered for his troubling appearance and behavior just as much as he is known for his music. Up until a couple of decades ago the best options for these adults were full and partial dentures or fixed bridges. These treatments are somewhat successful at replacing missing teeth, but they come with their own burdens. Dentures are removable, which is an advantage when the time for cleaning them and any remaining natural tooth comes, but that also makes them prone to dislodging in the mouth or making embarrassing sounds when talking or chewing. A cosmetic dentist that performs dental implants in Austin points out that the problem with fixed bridges is that they compromise the health of the teeth surrounding the gap left by the missing teeth in the mouth, which would otherwise remain healthy. Problems can include botched placements, utilizing the wrong type, quantity, size, position or length of the dental implant during the procedure. Dental implants are not just a restorative treatment for replacing missing teeth; cosmetic dental implants are extensively used to give patients a new smile without any imperfections. 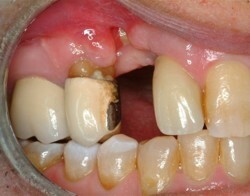 Not everyone is a good candidate for dental implant surgery. Patients with diabetes, blood disorders, rare bone disorders, or patients who have gone through chemotherapy or radiation therapy may not be successful candidates for dental implants. Although precautions are advisable, people with high blood pressure or controlled diabetes may successfully receive dental implants. When patients think about cosmetic surgery, must weigh the possibility of side effects heavily before making a decision. In the end, most patients go through with the procedure once they have found a way to finance their surgery. Every good surgeon requires their patients to undergo an evaluation process to determine whether or not they are a good candidate for surgery. the number of people who undergo plastic surgery increases every year. The amount of ethnic groups undergoing plastic surgery has also nearly doubled. Researchers ask why there is such an increase in minorities undergoing plastic surgery, but they have discovered that the amounts of people undergoing plastic surgery are increasing all the way around. In most places around the world. If you are disappointed with the results of your plastic surgery, the first thing to do is schedule an appointment with your plastic surgeon. It is possible that the results you are seeing are just a normal part of the healing process. Even the patients of skilled plastic surgeons can sometimes see complications with their plastic surgery. A good plastic surgeon may offer to do a corrective surgery at no cost. Give your surgeon a chance to correct the situation before you take further action. If this appointment has proven to be unhelpful and you are still unsatisfied, seek out a second opinion from another board-certified plastic surgeon. Some plastic surgeons even specialize in corrective plastic surgery for those whose first procedure did not go as planned. However, you should be aware that you must wait at least a year before having a second procedure to minimize risk and ensure that you are seeing the full results of the first procedure. If you do feel that you have been wronged by your plastic surgeon, you can also lodge a formal complaint with your state medical board. Be sure to document your complaint with full written notes and photos. You can also contact an attorney who specializes in medical cases if you feel that your situation warrants further action against the surgeon.